Immortalized for a new generation in the graphic opening sequences of Saving Private Ryan, "Bloody" Omaha Beach was almost an epic failure. Among the five beaches stormed as part of the June 6, 1944 D-Day assault, the Allied invasion met its greatest difficulty and uncertainty at Omaha Beach. Only at Omaha Beach did the long anticipated Operation Overlord, and the re-entry of the Allied armies into France, threaten to fail in its execution. 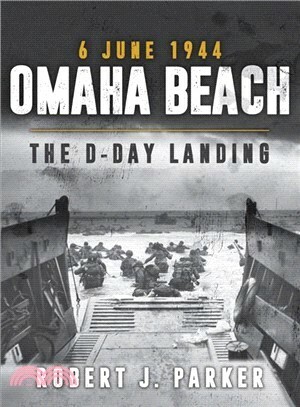 Reviewing the preparation and planning by the various Allied assault groups designated for Omaha Beach, Robert Parker provides a lively and composite description of one of the greatest and most important military endeavors in all of world history. Robert J. Parker has been a schoolteacher for over 30 years. He combines his passion for the history of World War I and World War II with frequent travel to the battlefield sites. He lives in Indiana.